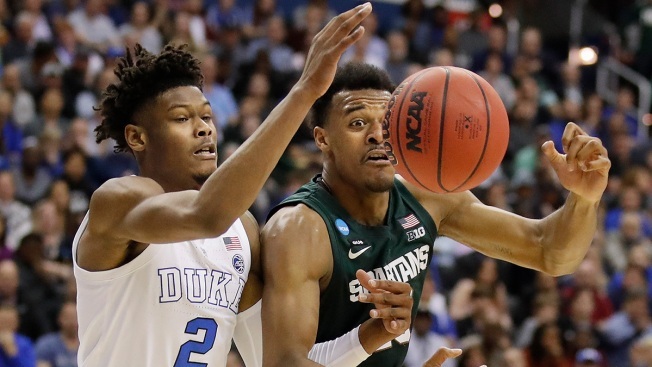 Duke forward Cam Reddish (2) and Michigan State forward Xavier Tillman (23) chase a loose ball during the first half of an NCAA men's East Regional final college basketball game in Washington, Sunday, March 31, 2019. Cassius Winston missed an open jump shot but was right there for the rebound. Without hesitating, he stepped back and swished a 3-pointer.